Early in 2015 Ron and Dee, Owners of Ron's Scuba Shop, decided that it was time that 13 11th Street West change back to residential. After many conversations between Ron and Steve, it was agreed that Steve would relocate the air fill station to a new location, a new beginning. With the taste of a new freedom, it soon followed that Ron signed over the remaining business assets and closed up shop on 11th Street West. Once upon a time...... as a teenager playing at Apple Hill Quarry, a curious Steve saw his first scuba divers gearing up and diving. Being a competitive swimmer at the time and his love for the water, he began to question where they got the equipment and where they learned to dive. Within days he was standing in Ron's Scuba Shop, signed up for the course and on his way. What neither of them anticipated was the bond that was created. For the remainder of his teenage years, Steve followed Ron and dove as much as possible. This is where he began to meet his extended family!! 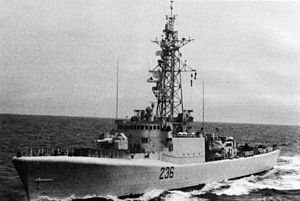 Steve left Cornwall to join the Royal Canadian Navy. 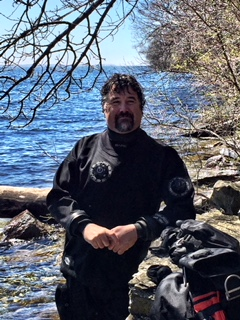 He was posted in Halifax and had the privilege of diving with the military divers. Years later, with his wife and kids, his hometown of Cornwall was calling him back. His first stop, Ron's Scuba Shop. In the years that followed, where you saw one you seen the other. Steve has assisted Ron in the classroom and for open water checkouts for many years. He has continued to take his dives to depths that many aspire to achieve. He has worked as a commercial diver servicing ice beams for Ontario Hydro and the city of Cornwall servicing water intakes, adding to his level of experience. That day in history, when Steve first walked into Ron's, neither knew that the student was the protege and that the Captain was the Great Master. It was destiny and with that handshake, it was not the closing of Ron's Scuba Shop and the beginning of O2ToGo Dive Centre, rather it was the passing of the baton. Brainstorming a name and logo for the new store, Darlene remembered one of Steve's many "mottos" that half of earth's elements, represent scuba diving. With this, inspired the name and logo for O2ToGo Dive Centre. Darlene being creative by nature, quickly went to work in creating a concept for the logo. These are the 4 elements of nature believed to be essential to life. 50% of these key elements are required to go scuba diving. So... 50% of your life should be spent where you ask... Scuba Diving!! Check it out for yourself. If your not diving, you have been living life at half it's potential! Months prior to opening the doors at O2ToGo Dive Centre, Steve, being an owner of an already established local company, he knew he could not always be at the store to oversee daily operations. He then turned to his son-in-law Kyle and began to talk. Sitting in the work shed outside of Steve's house, boiling sap for maple syrup, Steve and Kyle began talks about running the Dive Shop. He talked and explained to Kyle what he would be expected to do and what he could expect out of the job. Kyle, working in the restaurant industry for 17 years, was nervous at first to embark on a new path. Knowing this opportunity would give Kyle the chance to be home more with his family during key times of the day, Kyle after 2 days phone Steve and told him he was ready for a new beginning. A month before O2ToGo Dive Centre first opened it's doors, Kyle would call Ron's Scuba Shop his new employment for the month. Kyle overshadowed Ron MacDonald learning how to properly inspect and fill tanks. He quickly learned how to service and maintain scuba equipment and how to thoroughly and properly test it out after to ensure proper use for it's owner. This not being enough, Kyle would then take all courses related to inspecting and servicing scuba equipment and became a certified technician through SSI/TDI. Exploring more options and wanting to learn more, he would also become certified to inspect, clean, handle and mix with the use of Medical grade Oxygen. The friendly face and smile that everyone who has opened the doors at O2ToGo has come to know and respect. Although a land lover, his passion for your sport is alive through each and every diver. He has built up his knowledge of equipment and management skills added to his pleasant personality making him the face of O2ToGo Dive Centre. One of Kyle's biggest passions is soccer. He gets to share this love with his 3 younger children. His 3 younger children play and compete in the sport at a competitive level. Having played as a kid with the pleasure of his father being his coach, he understands the demand that comes with the training and organizing. 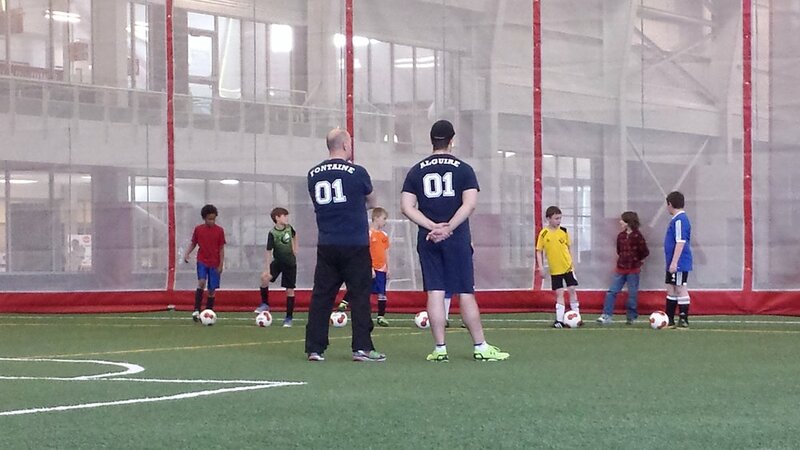 Kyle actively volunteers with indoor and outdoor soccer all year long. He sits in on the committee board in helping organize a fun, learning and development atmosphere for young athletes. You will find Kyle, 5 days a week in the winter and 6 days a week during the summer coaching boys soccer at all age levels whether it be recreational or competitive. Captain, Dive Master, Guru, Instructor, Friend. All titles he handles very well and with respect. Although 13 11th Street West (Ron's Scuba Shop) has closed it's doors to the public, the club meetings are still held there and his sign hangs at the back door of O2ToGo Dive Centre to be seen by all who enter to attend the classes he teaches at the new location. 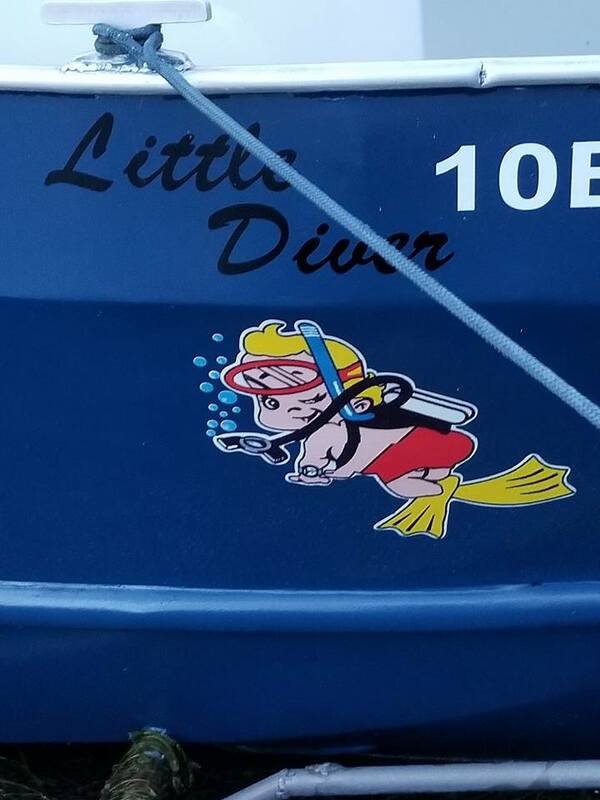 His Big Blue Boat, the Little Diver is still on the water and he still sits proudly at the wheel. Ron's knowledge and presence are within the walls at O2ToGo Dive Centre. As a member of Seaway Valley Divers club, Patricia is in her eighth year of diving. She enjoys drift diving and wreck diving in the St. Lawrence River . She’s had the opportunity to experience diving in each of the Great Lakes as well as a variety of Southern diving destinations. Patricia volunteers as the Diver Liaison with the Clean-up Committee. 2018 marks the third year of shoreline and under water Clean-up activities. The Committee is presently in the planning stages of organizing Clean-ups in three locations. Patricia also volunteers as the Chair for the Upper Saint Lawrence River Protection Network. Patricia‘s latest success was Leading the initiative and receiving approval for the Seaway Valley Divers Club to install a set of steps at the Cornwall Harbour so divers can safely exit the river. The steps will be installed in the spring of 2018 and will highlight the Harbour as a diver friendly location. Click Here to see a video of Patricia's 600th Dive!